Developers facing the dual pressure of rising construction costs and slowing rent growth are finding creative ways to make the numbers pencil out on new projects. Higher construction costs are putting more pressure on land prices. Developers also are exploring other alternatives to maintain yields, such as increasing density or value-engineering projects. Some developers are offsetting higher construction costs by offering micro-units that allow the developer to deliver units at a more affordable rate, while still capturing a higher rent per square foot. In Denver, for example, a former hotel adjacent to Mile High Stadium was converted into the Turntable Studios, a micro-apartment project with 179 units that range from 330 to about 800 sf. “I also think the investor market finds those micro-units attractive. The one or two that have sold here have generated very high per door prices,” says Rick Egitto, CCIM, principal of capital markets in Avison Young’s Denver office. “Renters like it, and investors like it as well,” he says. A few innovation leaders are leveraging new design, engineering, and building systems and processes to reduce construction costs. “There are people who think they have a better mousetrap,” says William A. Shopoff, CCIM, president and CEO of Shopoff Realty Investments, an apartment developer and investor in Irvine, Calif. “We’re not quite there yet, but we do think that we’re going to see some technological changes in construction that are going to drive value,” he says. Some developers are using various levels of prefab with modular or factory-built units that are assembled on site. Denver-based iUnit currently is designing factory-created, prefab units that are assembled on site. The company built the 40-unit Elliot Flats in the Lower Highlands area of Denver and has a second project underway. Both projects also adhere to sustainable building practices with an aim to achieve net-zero energy efficiency. Menlo Park, Calif.-based design and construction firm Katerra works to squeeze efficiencies across each step of the building process — from its design, technically engineered materials, supply chain, and construction. Its strategies range from more cost-effective product sourcing to off-site manufacturing that provides greater precision, higher productivity, and more quality control. In a rising cost environment, these cost-effective building solutions could help developers and investors preserve yields and address the bigger issue of creating more affordable housing as well. If developers can build apartments cheaper, that alone is a big advantage. If they can build apartments both cheaper and faster, that’s a huge advantage in a competitive marketplace. “You not only save interest expense, but you start generating revenue faster — and more importantly you know what market you’re delivering into,” Shopoff says. Since most urban projects take 24 months to complete, builders end up delivering projects in a different market than they started in terms of competition, rents, and economic drivers. For developers that can build an apartment building in six to 12 months versus 24 months, and at a cost savings of 5 to 10 percent, that’s a huge competitive advantage, Shopoff says. No developer wants to be on the wrong side of the curve. 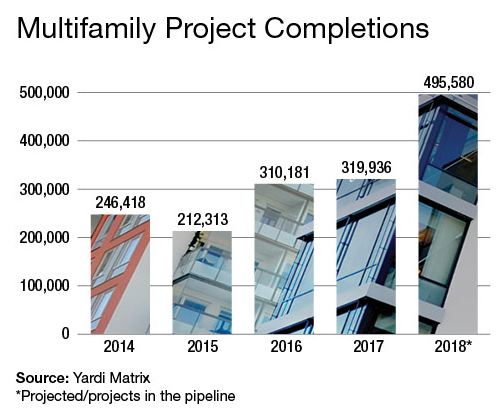 Investors are facing many challenges in the multifamily market. With the housing market on an upward slope, home prices rising, and interest rates ticking up, homeownership is more difficult to achieve. In addition, baby boomers are selling their homes for retirement money without purchasing new ones, and millennials prefer renting. The resulting rental market demand continues to push multifamily rents to an all-time high. This increase in rents drives values for multifamily properties, making them an extremely desirable investment vehicle. The limited number of quality properties for sale and significant amount of available capital means that buyers are chasing every deal. The average sale time of a property has decreased dramatically, and the terms of the transaction and the time frames for the buyer to perform have increased. It’s a seller’s market — and the buyer assumes several risks. Financing a property with a cap rate lower than the interest rate is difficult, unless there is significant upside in rents. Smart investors need to evaluate whether they should raise rents nominally, which would avoid pushback from existing tenants, or raise rents significantly, which means investing capital and remodeling the property. When a buyer remodels or raises rents, it adds downtime from turnover, which must be accounted for in the overall return. While investors who acquired properties in the last few years locked in extremely low interest rates, these rates are on the rise. As a result, mortgages will increase in the coming years when these loans roll from fixed rate to adjustable or reset at the future rate. If rents do not increase at the same pace, investors will see diminished returns. 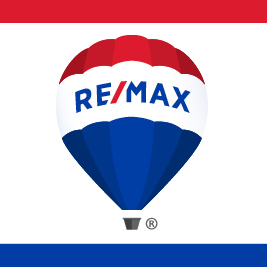 Many experts believe that we are in the ninth inning of this nine-inning real estate cycle. Those currently investing may be overpaying and in serious danger of a market adjustment or interest rate increase, both of which would negatively affect the overall return and value of the property. Money still can be made in the multifamily market. Many properties have significant upside in rents, and there are ample opportunities for the savvy and careful investor. But those who believe they are going to buy property and sell in a few years to make a profit need to be wary of interest rates and rent growth. In addition, if the market should flatten or turn, these investors and property owners will be in significant trouble. Investors with a sound investment strategy will be successful in both the short term and the long term. Barry Saywitz is president of The Saywitz Co., a national commercial real estate brokerage, investment, consulting, and management company in Newport Beach, Calif. Contact him at bsaywitz@saywitz.com. Freddie Mac , the country’s largest backer of apartment loans, will offer low-cost loans to real-estate owners willing to keep their buildings affordable to middle-class families for years to come. The move could open up a new approach to creating and preserving middle-class housing. It uses market incentives rather than government subsidies to persuade real-estate companies to preserve units for the middle of the rental market, an area of concern for policy makers in recent years. “The supply of workforce housing is rapidly declining. There’s an urgent need to preserve what’s there and find ways that you can effectively create more,” said David Brickman, an executive vice president at Freddie Mac and head of its multifamily division. The initiative will offer lower interest rates to landlords who agree to rent the majority of units in a building at levels affordable to tenants making 80% or less of the area’s median income, a range that typically includes nurses, teachers and police officers. The units must remain affordable for the term of the loan, typically about a decade. To start, Freddie will back up to $500 million of loans to Bridge Investment Group, a Salt Lake City-based landlord with roughly 30,000 apartments around the country. Bridge has identified 38 metropolitan areas for investment. Bridge recently closed on its first property for the project, a 352-unit apartment community in the Tampa, Fla., area. Roughly 82% of the units in the building are considered affordable to tenants making 80% or below of the area’s median income, meaning a two-person household that earns about $41,000 or less, according to federal guidelines. As part of the deal, Bridge will renovate the units and common areas and add a community center and a soccer field. The Tampa metropolitan area is still relatively affordable, but costs have been rising even as it remains one of the poorest major metros in the country. Average monthly rents increased 1.2% in the first quarter to $1,028, according to Reis Inc., ranking it 11th among 79 major metros for fastest rent growth during the period. Freddie Mac’s apartment lending helps it fulfill a mandate from the Federal Housing Finance Agency to lend to underserved communities, because renters tend to be less wealthy than homeowners. Freddie doesn’t make development loans, but backs loans for purchases of existing buildings. More than 60% of U.S. renters earn less than 80% of the area median income, according to Bridge. That partly reflects the fact that the vast majority of new apartment construction has been at the high end, catering to a growing pool of affluent, professional renters in urban areas. Mr. Brickman acknowledged that Freddie normally has no oversight over whether owners will raise rents sharply after the mortgage giant makes its loans. As the top end of the market has become saturated, investors increasingly have been focused on buying midprice buildings, renovating them and raising rents. “There’s nothing about our typical loan that prevents someone from raising rents,” he said. This has left middle-income tenants increasingly vulnerable to rising rents. Rents for nonluxury apartments rose 19% over the past five years, according to Reis, and vacancy rates now sit at 3.5%, compared with 6% for luxury units. Most affordable housing is created using low-income housing tax credits, a program created in the 1980s that gives tax breaks to investors to generate equity for projects. Traditionally, the program has limited the incomes of residents to 60% of the area median income, or those considered lower-income. Changes passed by Congress in March could generate a small number of middle-income units, but the new tax law is expected to diminish the program’s overall effectiveness, according to industry leaders. One limitation of Freddie Mac’s new initiative is that it will generally only restrict rents, not the income levels of the people who live there—although Bridge has agreed to monitor income levels in the Tampa-area building. In theory, as can happen with rent-controlled units, tenants could become more affluent over time and still hold on to their affordable units.